The Financial Services Authority (FSA) is to take action against five brokers that sell sub-prime mortgages. Following a review of the market, it said some mortgage lenders and brokers offer loans to people who should not be given them. Sub-prime mortgages are those sold to people with poor credit histories and thus a greater chance of defaulting. The FSA found examples of people being offered mortgage deals they might not be able to afford. The regulator said it was very concerned about its findings. "Consumers in the sub-prime market are vulnerable people who may have high debts or a bad credit history," said Clive Briault of the FSA. "It is therefore important that they are properly assessed and advised. "We will not hesitate to take action where we find bad practice," he warned. "Poor sales practices in this market may lead to serious wider consequences," he added. The FSA has been investigating the sales practices of brokers and lenders in the sub-prime mortgage market since April this year. Then, it said it was worried that borrowers might not be offered suitable mortgages that were good value. Its investigation has come against a background of a crisis in the US mortgage market, where rising interest rates mean that some poor sub-prime borrowers are now defaulting on their mortgages, which were clearly mis-sold in the first place. The situation is very different in the UK, where the sub-prime market is much smaller, because lenders here are much more careful about to whom they lend. Even so, the FSA's review of 11 lenders and 34 brokers found a worrying level of bad practice. Some borrowers were advised to re-mortgage, thus paying early repayment charges, without the broker being able to show that this was a good idea. "There is evidence of potential mis-selling," said an FSA spokeswoman. The regulator's action could involve fines or banning individuals from selling mortgages. The FSA also found evidence of slack practice among lenders. For instance, some of them did not check whether or not the information on the mortgage application forms they processed was plausible. This could lead to applicants getting away with exaggerating their incomes and taking on loans they could not afford. Industry body, IMLA (Intermediary Mortgages Lenders Association, said it took the FSA's report "very seriously". "IMLA and its membership continue to promote best practice in the sub prime market and welcome the additional guidance proposed by the FSA," said IMLA executive director Peter Williams. "However, it is essential not to understate the importance and complexity of the sub prime market. "The growth and flexibility of sub prime have played a vital role in providing mortgages to many hundreds of thousands of people who would not otherwise be able to purchase a home. "IMLA is not complacent about the findings but would stress they must be kept in perspective." 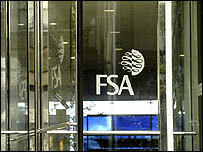 Mortgage broking firm John Charcol said the FSA's review had found no evidence of widespread mis-selling. But it said it was worried by the high level of self-certification of applicants' incomes that the FSA had uncovered in the market. "As the FSA highlighted in the report, inflating income is a criminal offence and while there is no proof, one suspects that this may well have been the case in some, if not many instances," said Ray Boulger of Charcol.